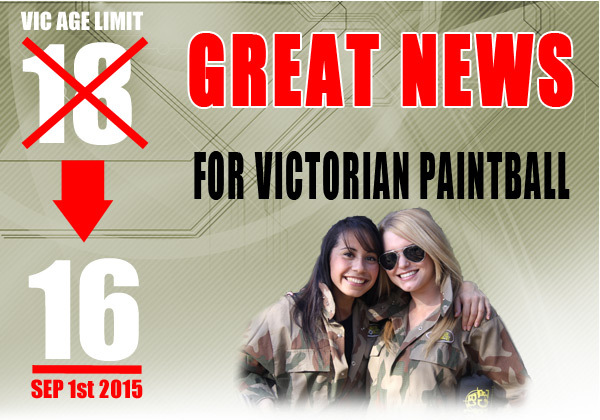 After years of campaigning by the AUPBA and other industry leaders, the minimum age for Paintball in Victoria will drop from 18 to 16 years of age from 1st September 2015. It’s an exciting announcement for Paintball centres and players alike who have previously had to wait until they were 18 to enjoy a day of Paintball action. The minimum age drop is a result of a change to legislation and means Victoria will fall in line with New South Wales and the ACT with a minimum age of 16 years old. The minimum age drop is welcome news to the AUPBA which has dedicated significant resources since 2008 to lobby the Victorian Government to make the change. 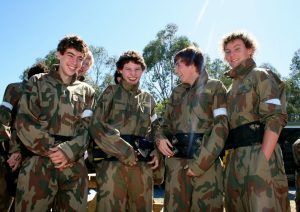 During this time the AUPBA has worked to raise the standard of safety procedures, Paintball equipment and Paintball facilities across Victorian Paintball centres to support the minimum age drop campaign. Today all five star accredited AUPBA members provide all players with full head protection goggles, torso body armour and full neck protection. Through these initiatives, the AUPBA aims to reduce the potential for injuries on the Paintball field and increase the overall standard of Paintball across Victoria. It is these improvements that will be instrumental in ensuring the minimum age reduction has been successful and worthwhile. With the official change now in place, Paintball enthusiasts are busily preparing their next Paintball adventure at centres throughout Victoria. In the meantime, Paintballers as young as eight years old can participate in the modified version of the sport that uses spring-powered pump action shotguns and smaller ammunition, for their adrenalin fix. 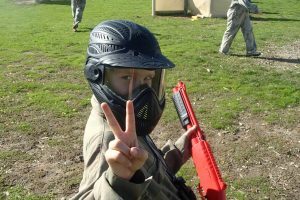 The AUPBA will provide further details on the public’s reaction to this age reduction in Victoria once players have been able to experience Paintball for the first time.